If you are looking for a fuss-free, romantic hairstyle for your wedding day, a braid may be the perfect option. The plait has made a comeback and there are now many beautiful variations on this classical look. Over the years there have been many changes in the way in which we wear our hair, with stylists such as Vidal Sassoon making waves with new and innovative cuts and styles. Wedding hair designs also follow trends, with plaits currently hot news and looking set to be in fashion for a long time to come. Elegant, classic and perfect for a black tie wedding, a soft braided bun will add volume to the hair in the front and create an illusion of length. 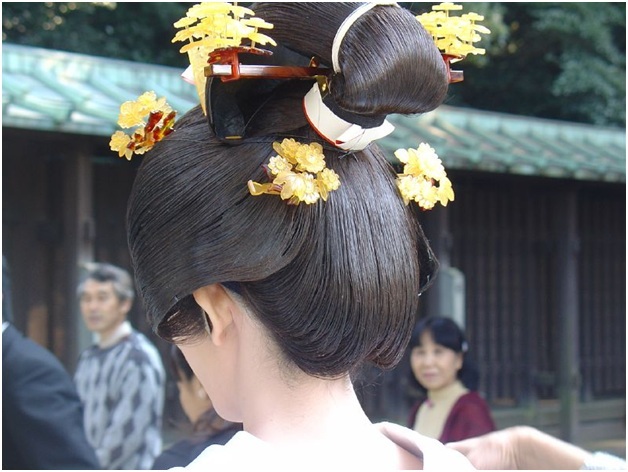 This bun sits at the nape of the neck and hairpieces can be used to add extra weight. Fishtail plaits wind their way back into the bun and tie together an updo that oozes sophistication. An intricate design that takes five or more plaits from the front and sides and combines them into an elegant bun at the back of the head, this coiled, braided bun can be beautifully dressed up with hair jewellery and is so striking that no veil is needed. If fairy tale hair is what you want for your special day, this braid is the perfect choice. Whimsical and soft, yet with an air of sexiness, a cascading plait can be adorned with ribbon or accessories and looks beautiful against bare skin. Resources such as Style and the Bride have lots of advice on matching hairstyles and dresses together flawlessly. A Grecian-style braid wrapped around your head is not only elegant but also the perfect replacement for a tiara. A tightly-woven inverted plait works best to create this style, replicating a crown but in a more natural way. For a mermaid look that is stylish yet relaxed, a fishtail braid that sits to the side is perfect. Textured, feminine and with plenty of volume, this plait works exceptionally well for a summer wedding. Hair can be teased on top to create extra volume and, once the hair is braided, the plait can be opened up to create width and add impact.